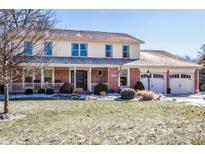 Below you can view all the homes for sale in the Moorings subdivision located in Indianapolis Indiana. 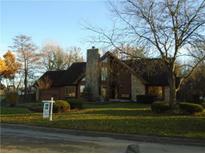 Listings in Moorings are updated daily from data we receive from the Indianapolis multiple listing service. To learn more about any of these homes or to receive custom notifications when a new property is listed for sale in Moorings, give us a call at 317-987-2530. Home also has 3 car tandem garage, invisible fence, 2 HVAC units, Sump w/battery bkup, and more. Community pool! MLS#21630865. F.C. Tucker Company. If you're looking for location, space and quality of build, this is it! MLS#21616453. F.C. Tucker Company. Adjacent formal dining room .Custom kitchen with new warm hardwoods, center island /breakfast bar and large nook all leading to light & bright sunroom.Main level master retreat w/ cathedral ceiling, whirlpool tub & separate shower and two walk in closets.Upstairs boast loft overlooking great room & three large bedrooms & bath.Lower level family room with custom brick style walls featuring bar area & game room & bath,workout room and den.Private rear deck for entertaining. MLS#21524229. The Fox Group Real Estate.